ITT Enidine Inc., headquartered in Orchard Park, NY, is a premier supplier of engineered Mechanical Shock Absorbers, Vibration Isolation Products, Noise Attenuation Products as well as Deceleration Devices and products for Hydraulic/Pneumatic Actuation and Motion Control applications. Our products can be found in use throughout the global Industrial, Rotorcraft, Aviation, Defense, Automation and Infrastructure markets. PennAir is a proud distributor of ITT Enidine parts and products, from vibration isolation and energy absorption to deceleration and motion control. 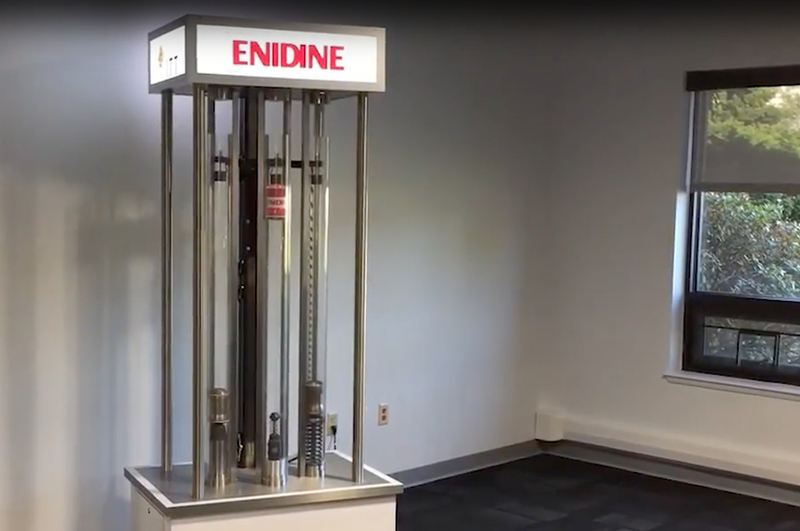 Check out this video of Enidine’s shock absorber in action compared to the competition!